With the aid of our proficient professionals, we conducted to manufacture the highest quality of tablet packing machines. We are using the higher dimensions of materials & components to manufacture in adherence to the international quality standards of products. 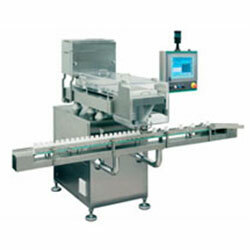 These machines were operated by fully automatic systems so, ease in packaging of the tablets and capsules. This is also featured by the special features of the heat resistant to use. They are extensively demanded by numerous pharmaceutical Industries of India due to their excellent features such as quality performance, easy operation, low maintenance, good speed, durability, in addition to power-efficiency. We maintain quality as per the international standards of quality so that our consumers will procure from us only the high performance products that worth the price they pay. Thus we maintain long term relationship with our consumers. 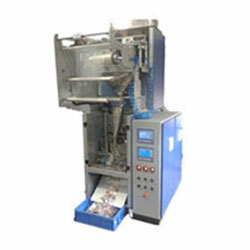 We offer our Tablet Packing Machines at incredible rates in every corner of India. Owned & Powered by : #1 Vinayak InfoSoft :: Disclaimer :: All Copyrights © 2018. Shree Khodiyar Industries.